I have been using massage bars a lot recently, I think it's because I tend to use moisturiser and I found they have made my skin red and inflamed, so I tend to stay away from them and use massage bars instead. They still have scent but are more sensitive to my skin. 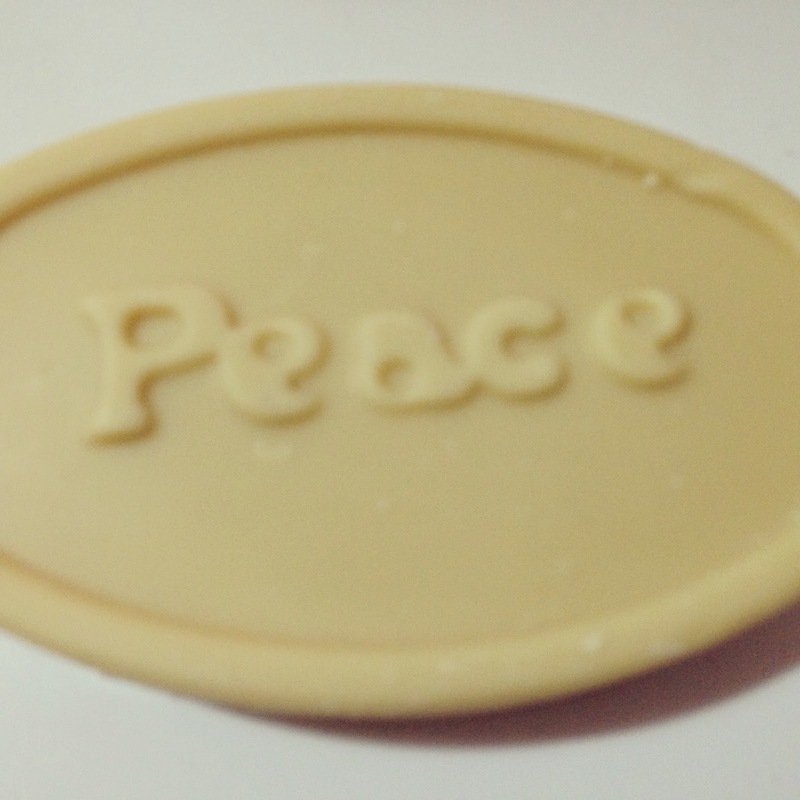 I have already used Hottie a lot and I loved it but I wanted to try more massage bars from the Lush range, so I picked up Peace. I was drawn to the name of the bar really, as who doesn't want to be covered in Peace? Surely that can only be a good thing! The scent of this bar isn't as strong as Hottie as it contains cocoa butter and shea butter, which don't really have strong scents, but do leave your skin feeling nourished and soothed. I have used it a few times when I've had a bad day or I just needed a wind down. This with a nice massage can leave you feeling all chilled out and ready for bed. I have used this a lot lately due to my skin being really sensitive and it has been great at providing moisture to my skin. The bars tend to really last, as long as you are gentle with them, sometimes I can be a little heavy handed and they do snap in half, but I have discovered putting this in my bath! It doesn't give you any bubbles but it does leave you feeling super relaxed while you lie back in your tub!